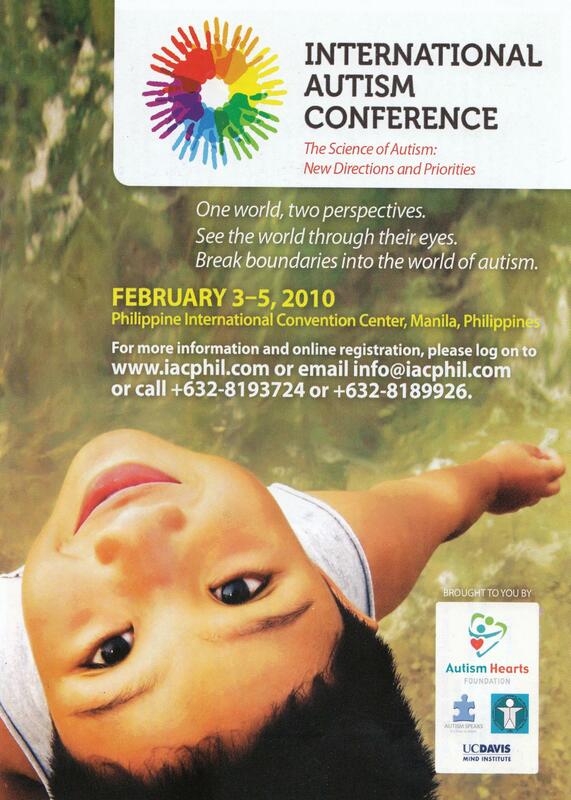 The International Autism Conference will be held on February 3-5, 2010 at the Philippine International Convention Center, Manila Philippines. 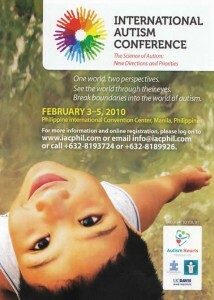 For more information and online registration, please log on to www.iacphil.com, email info@iacphil.com or call +6328193724/ +6328189926. 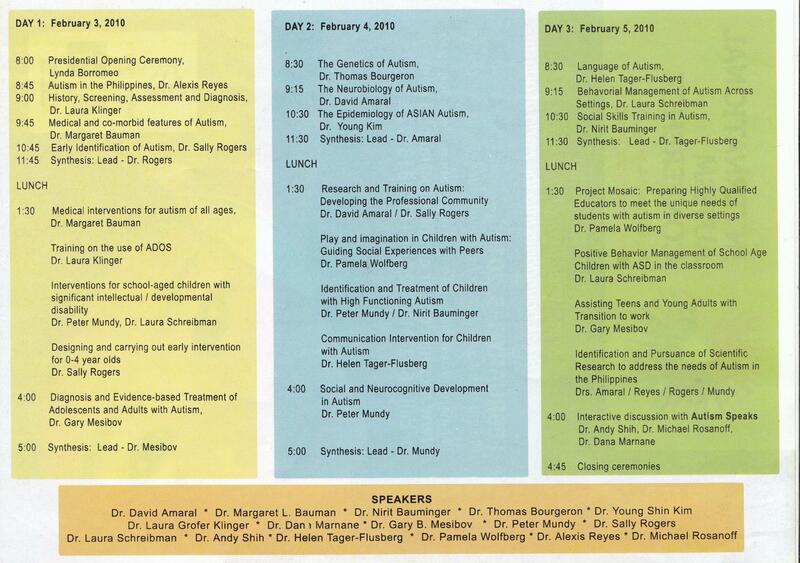 Download the Schedule of Activities Brochure here.